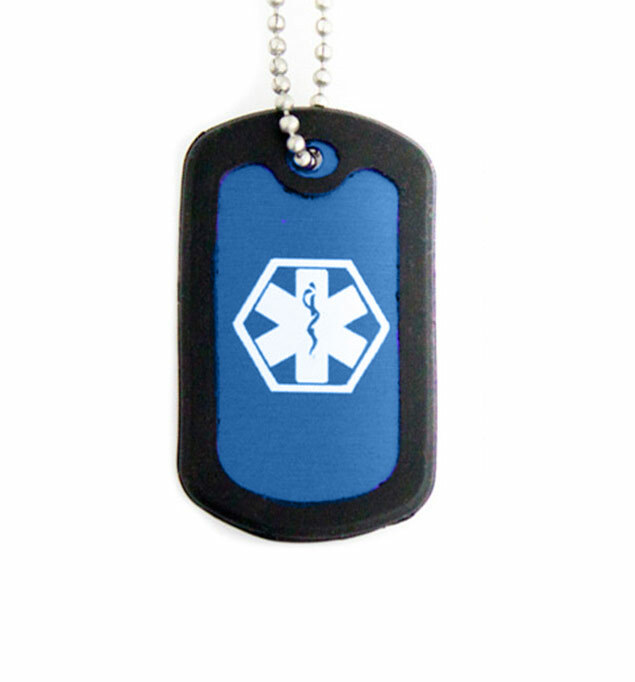 Our Blue Medical Dog Tag necklace is a simple, waterproof medical ID necklace featuring a medical caduceus symbol on the front, which serves to alert first responders to your medical information, which we will custom engrave on the back. This medical ID necklace measures 24" and is easy to cut down to size for children or use as backpack loop. Choose this FastTrack item, and your entire order qualifies for expedited handling service.